Some of my good friends would never ever consider sending a thank you card, but they will express their gratitude in extremely sincere and thoughtful ways. I think even Emily Post might be OK with the trade-off. 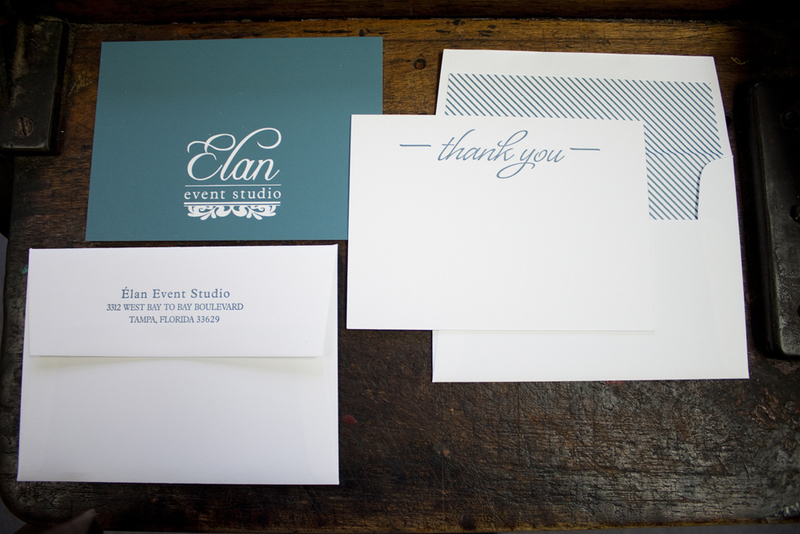 Of course, seeing as I make stationery, I very much appreciate friends who do send thank you cards. 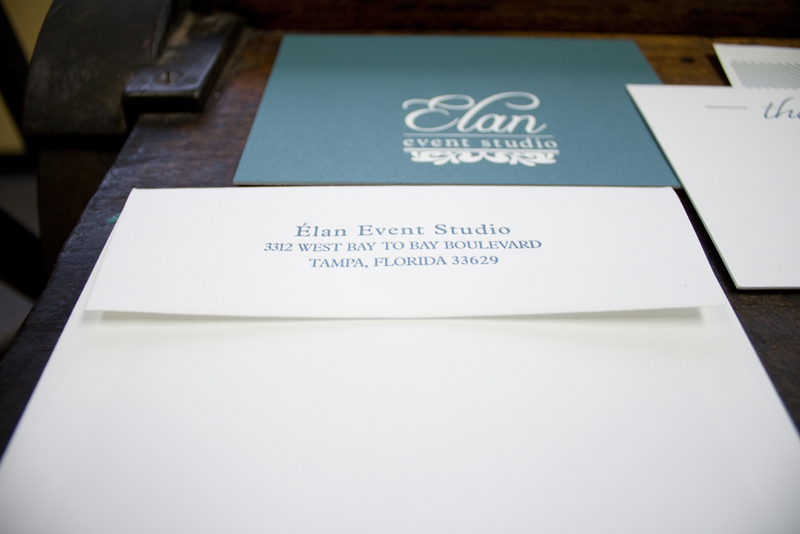 You can imagine my excitement when Monica of Élan Event Studio called about custom thank you notes. There’s a beautiful, understated elegance to Monica’s brand and I wanted to honor that with just the right amount of wow. We kept to a simple color palette – PMS 5483U and bright white, provided by Crane’s Fluorescent White Lettra. 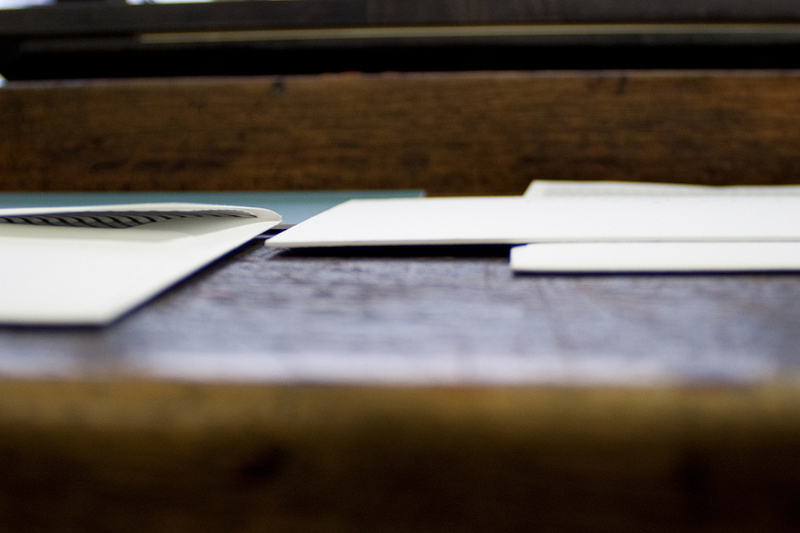 I’m a huge fan of back-flap return addresses, so we printed this one in letterpress on the square flap. 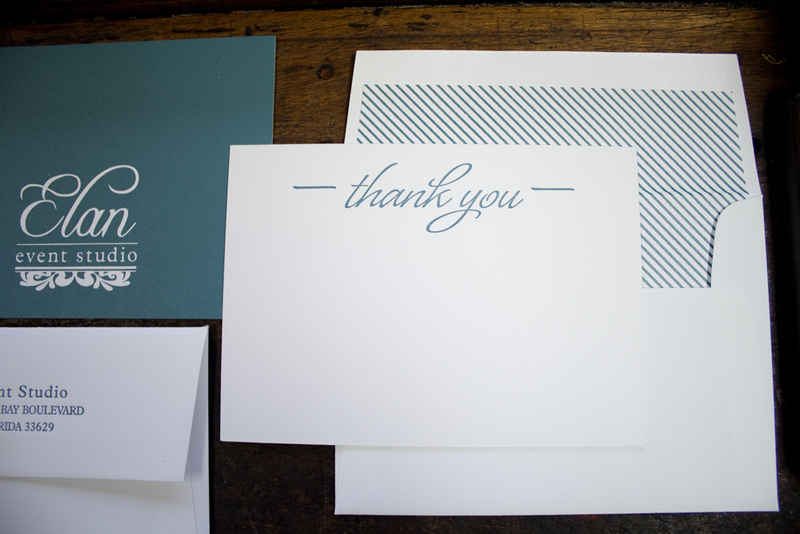 We printed on a 220# (600gsm) A6 sheet, laying the “thank you” down with the textural goodness of letterpress and flooded the back of the card with a screenprint, knocking out the logo to reveal it in fluorescent white. 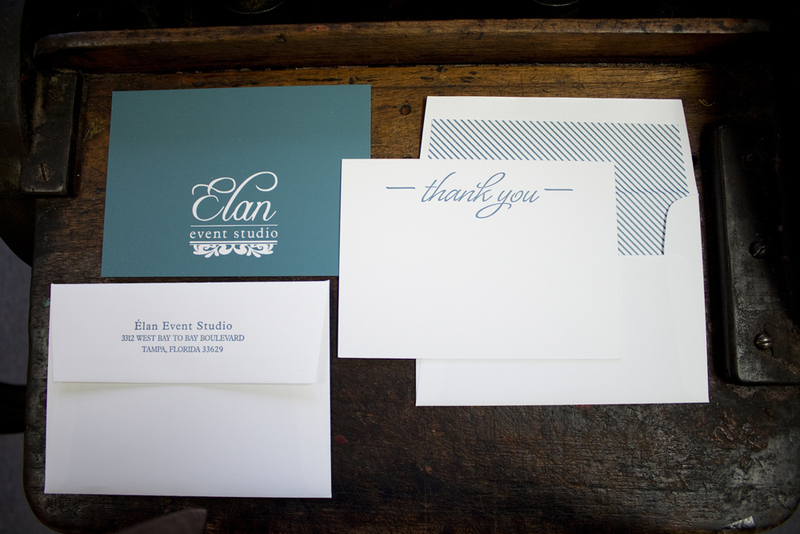 The envelopes were lined with a digitally printed stripe pattern to match. It can be quite a challenge to match the process color of digital or offset prints to a PMS spot color. Because the liner didn’t contain any large washes of color, it was a little more forgiving and we ended up with a great match across techniques. Let us help you say “hello” or “thank you.” Contact us to start your own story.